Franklin is located in a beautiful and scenic mountain area. 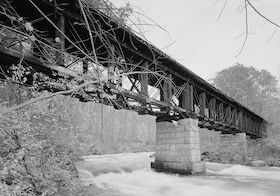 It is a town of about 8,000 people in central New Hampshire and near Laconia. This area has many lakes and mountains for outstanding outdoor recreation. Two rivers combine here to begin the Merrimack River. You can live in the village or there is at least 1 active adult community in Franklin (see link at left). The median home value was $185,300 in early 2019, according to Zillow. 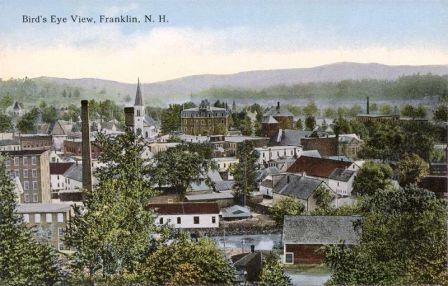 Franklin is a small town in a state with fabulous recreation and scenery. The Middle New Hampshire Arts Center is a big addition to the town. It's a small town far from any city. Franklin is west of I 93, Laconia, and Lake Winnepesaukee. Winters are very cold and summers mild. The Middle New Hampshire Arts and Entertainment Center is an excellent cultural resource. The Center is located in Franklin in the former Franklin Opera House. Crime in Franklin is low. Franklin Regional Hospital serves the community. I 93 is a few miles to the east.